Christelle Mbeni, who hails from the province of Bandundu, was crowned Miss République Démocratique du Congo 2012 (Miss Congo 2012) on June 23rd at the Grand Hôtel de Kinshasa. Mado Bafana is the first runner-up and Cathia Lubolo is the 2nd runner-up. 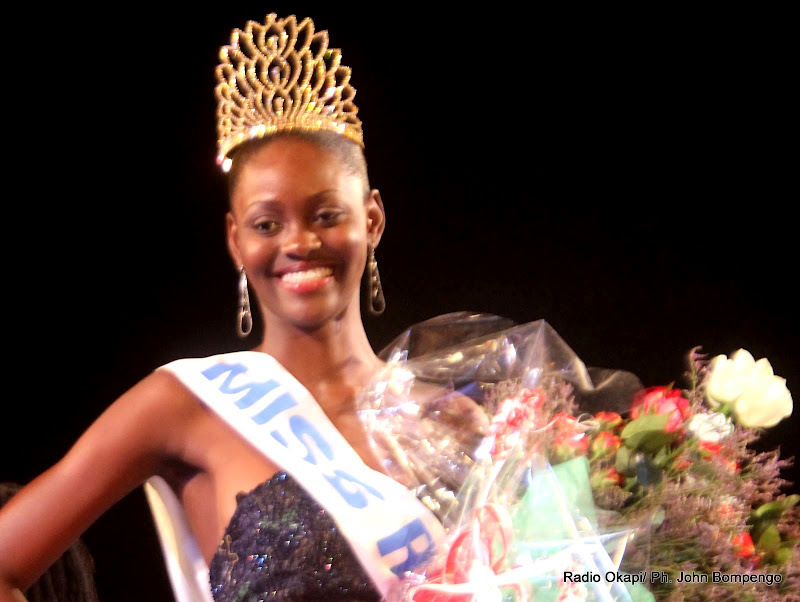 From 1971 to 1997, the pageant was called Miss Zaïre. Mbeni will compete in Miss World 2012 pageant to be held in China on August 18th.